Nikon Coolshot 20 is in every way comparable. It provides a user with clarity that is unmistakably clearer than most other rangefinder brands. It is made from quality material, provides accurate readings, and it is very light. This model also easily reads bunker distances, water hazards, and many other readings. It provides very quick reads. With just a single push of a button, Nikon Coolshot will immediately spring into action to provide you with accurate readings. All you need to do is look through your view finder, press button as you put the x on the flag (or whichever landmark) and you will immediately get a precise and clear read. This rangefinder will provide you impeccable performance. Thanks to its quality features, you are able to get readings in a very short time. Before buying a rangefinder, it is best to first assess what you need this device for. Are you looking for one that can be used for golf only or would you prefer one that can be used for other outdoor activities such as archery, hunting, or bow hunting? Nikon 20 can be used for golfing and other sports. Its performance is great regardless of use. Magnification is very important. Magnification helps assist in ranging your target. A higher magnification means a better look at your target, but it can also mean a reduced field of view at a specific distance, which will make locating your target that much harder through a rangefinder. That is why, yes, higher magnification can be great but it can also be harder for you to place a target. A higher magnification tends to result in you zooming in and out all the time. Cheap rangefinders tend to come with high magnification numbers due to the use of cheap lens. Nikon Coolshot has a 6x magnification that will help in ranging your target. You will be able to have a better look at your target. To reduce glare and maximize the amount of light transmitted to your eye, it uses special chemicals that are applied to its lens surface. This model’s lens has more visibility and brightness because it has more and better coating on its lenses. As we have mentioned above, it is incredibly small and lightweight. You can strap it onto your belt or just slip it in your pocket and bring it along with you wherever you go. It weighs just 125 grams - this model is said to be one of the smallest golf rangefinder available. It can be operated with one hand, making it a perfect option for individuals who do not want to carry a large rangefinder with them all day long. There are two types available; first priority mode and second priority mode. First priority mode works by reading a first object in the line of view and ignoring further objects. 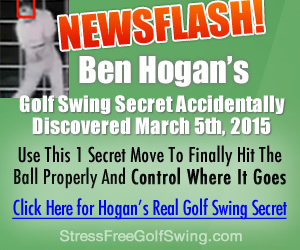 This model has first priority mode which is extremely important on a golf course. It is a great product to purchase if you do not want to spend too much on a range-finder. It is available in a variety of colors; black, blue, and white - it is up to you to choose which color suits you best. If you are looking for the best value for your money, there is nothing better than Nikon CoolShot 20. You will be able to see what lies ahead, behind, below, or above, thanks to its amazing sharpness and clarity. With just a press of a button, your model bounces a laser beam off the target. An internal clock then measures the time it takes for the beam to reach the target and back, and finally calculates the distance to within a yard or less. the range on an internal LCD display. As mentioned above, it uses a push and release power button to function. It is a simple as just pressing a single button. Whether you are a pro or a beginner, it cannot get any easier than that. This model comes with a first priority mode. This means that your device will read the first object in its line of view and ignore further objects, making it extremely useful in a golf course. Another great feature should be its 8-seconds continuous scanning. It is useful for certain reasons; you can be able to scope around and look for small objects that you want to avoid. Comes integrated with First Target Priority technology, which is perfect for golfing. Does not entail other key features that a pro might need as the optics are not as great. 6-power monocular featuring legendary Nikon optics. 6 – 550 yard ranging capability. ​Simple to use Push and release power button. Q:How easy is it to use? A: Just point and shoot! Q:Does it beep or is it a silent operator? A: This item is completely silent. You can even opt to use it for hunting. Q:How bright is its display? A: It’s not the brightest display in the market but you will not have a problem seeing. The display shows up black when getting a range but it lights up once it has a reading. If you are looking to improve your golfing skills, then a rangefinder is a must have item. You will not believe just how much accurate and confident you will be once you know that you have a device you can trust to give you accurate yardage. Nikon CoolShot 20 gives accurate readings and finds any other objects you want on a yardage. It is a great product to own. With just a push of a button, you will have an easier time targeting the flag and getting accurate distance. it is a great device to buy if you want something compact and affordable. Let us know what you thing about this handy little device below.